Rosacea is a chronic skin disorder with facial flushing, redness, and occasionally pink and red bumps. The exact cause of rosacea is not known, but it is likely related to multiple factors, including an abnormal response in the immune, vascular and nervous systems, ultraviolet light exposure, and even overgrowth of microorganisms. One of the highly debatable risk factors for developing rosacea is the overgrowth of Demodex folliculorum (DF) mites on the skin. DF are microscopic mites that normally live inside the oil glands but in small numbers. They feed on the fatty material (sebum) secreted by the oil glands. DF mites are found commonly in healthy people and occur more commonly with age. [1,2] Rosacea actually has many similar characteristics as another skin disease caused by DF mites, called Demodex folliculitis. Both conditions have flushing of the face, development of small pink bumps, plugging of the hair follicle openings with fine white scales, and inflammation of the follicles. DF mites are readily found within the bumpy lesions of rosacea. As many as 10 or 12 parasites can live in a single hair follicle. In up to half of the people with rosacea, the number of DF mites is significantly higher on the parts of the face affected by rosacea. Although DF-related rosacea can happen to both men and women at any age, it is most common in women over age 40. Does DF Directly Cause Rosacea? The story is not so simple. Groups of researchers have reported conflicting results. When their skin surfaces are analyzed, people with rosacea have a higher density of DF mites compared to people without rosacea.. This is especially true in people the papulopustular subtype of rosacea, with mainly pink and red bumps and pustules. In people with rosacea that is associated with DF mites, mites could no longer be found on their cheeks after treatment with oral metronidazole, an antibiotic that is effective in killing DF mites. On the other hand, another group of researchers found that the density of DF mites was no different between people with rosacea and those without; however, people with more oily skin (regardless whether they have rosacea of not) tended to have more mites on their skin surface. In other words, even though the evidence may suggest that DF mites could be a culprit in the development of rosacea, the jury is still out on whether DF mites are a root cause. What Causes DF Mites to Overgrow on One’s Face? The exact reasons as to why some people get DF mite overgrowth is unknown. Some experts suspect that DF mite overgrowth may be related to the use of cosmetic products and lack of facial cleansing. When there is DF mite overgrowth, the skin can become itchy, red, and sensitive, causing people to further reduce their facial cleansing. The end result is that the hair follicles can become plugged by dead skin and oil, which further encourages DF mite growth. An altered immune system may also explain why some people have a harder time fighting off DF mites. How Do DF Mites Actually Cause Skin Inflammation? The exact mechanism as to how DF mites lead to inflammation is unknown. Since DF mites are found in people with normal skin, researchers believe that the mite density may be more important than just its presence in causing rosacea. However, not all people with DF mite overgrowth will have inflammatory reactions and/or rosacea. How one’s skin responds to DF mites seems to depend on each individual’s immune response to the mites. Some researchers suspect that DF mites may erode and break down the skin’s natural protective barrier, which then causes increased skin sensitivity and skin inflammation. A bacterium called Bacillus oleronius was found to live on DF mites and may be a culprit to the skin inflammation related to rosacea. If DF Mites Take the Blame for Rosacea, How Can It Be Treated? Treatments that can reduce the number of DF mites may be helpful in rosacea. Medications that act against DF mites, such as metronidazole and permethrin, have been shown to be effective in clinical studies, although both of these agents likely have other anti-inflammatory actions as well. A topical formulation of ivermectin (an anti-parasitic medication with anti-inflammatory benefits) has been shown to be effective in treating the bumps and redness associated with rosacea. 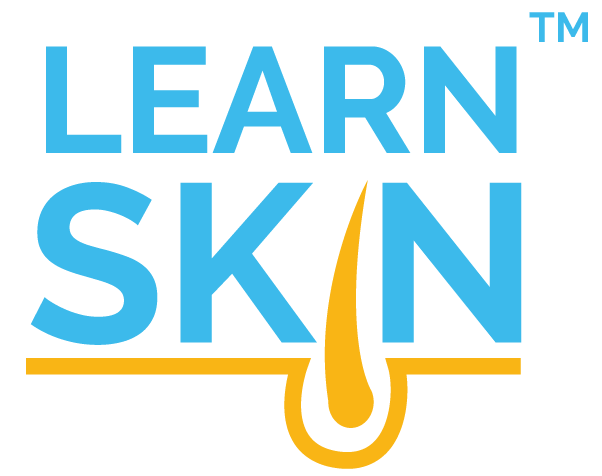 After 12 weeks of treatment with topical ivermectin, between 30-40% of the subjects with severe rosacea had clear or almost clear skin, whereas only 12-19% of subjects who used a placebo cream had the same result. After 52 weeks of treatment, over 70% percent of the subjects who used the ivermectin cream were clear or almost clear. More severe cases may be treated with oral ivermectin. Tea tree oil has been reported in the medical literature to help in treating eye itching caused by DF mites. If I Have Rosacea, How Should I Take Care of My Skin at Home? Consult with a qualified healthcare practitioner, such as a dermatologist, before treatment of skin at home. ​1. Ayres S, Jr., Ayres S, 3rd. Demodectic eruptions (demodicidosis) in the human. 30 years' experience with 2 commonly unrecognized entities: pityriasis folliculorum (Demodex) and acne rosacea (Demodex type). Arch Dermatol.1961;83:816-827; PMID: 13685388. 2. Elston CA, Elston DM. 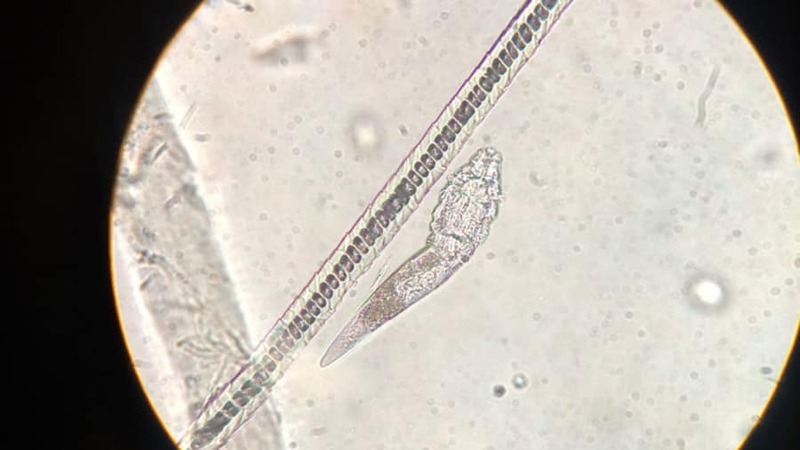 Demodex mites. Clin Dermatol.2014;32(6):739-743; PMID: 25441466. 3. Abokwidir M, Fleischer AB. An emerging treatment: Topical ivermectin for papulopustular rosacea. J Dermatolog Treat.2015;26(4):379-380; PMID: 25424053. 4. Marks R, Dawber RP. Skin surface biopsy: an improved technique for the examination of the horny layer. Br J Dermatol.1971;84(2):117-123; PMID: 4100979. 5. Forton F, Seys B. Density of Demodex folliculorum in rosacea: a case-control study using standardized skin-surface biopsy. Br J Dermatol.1993;128(6):650-659; PMID: 8338749. 6. Porta Guardia CA. Demodex folliculorum: its association with oily skin surface rather than rosacea lesions. Int J Dermatol.2015;54(1):e14-17; PMID: 24898344. 7. Akilov OE, Mumcuoglu KY. Immune response in demodicosis. J Eur Acad Dermatol Venereol.2004;18(4):440-444; PMID: 15196158. 8. Forton FM. Papulopustular rosacea, skin immunity and Demodex: pityriasis folliculorum as a missing link. J Eur Acad Dermatol Venereol.2012;26(1):19-28; PMID: 22017468. 9. O'Reilly N, Menezes N, Kavanagh K. Positive correlation between serum immunoreactivity to Demodex-associated Bacillus proteins and erythematotelangiectatic rosacea. Br J Dermatol.2012;167(5):1032-1036; PMID: 22709541.